A fall at any age can result in catastrophic injuries to the victim, but the elderly are even more prone to experiencing life-altering harm. As the body shows the signs of long-term use, including loss of balance and muscle strength, falling becomes a major concern – not only because falls are apt to occur more often, but also due to the potential severity of the resulting injuries. If a person falls on someone else’s property, the property owner may be responsible for his/her injuries under premises liability law. According to statistics from the CDC, 2.8 million people 65 and older are treated for fall-related injuries in hospital emergency rooms. Overall, one in four older individuals falls every year. While some of these falls happen at home, a sizable number occur elsewhere, including places like the grocery store, parking lots and shopping centers. As an example, an elderly man left blind after a fall at a shopping center in York County, Pennsylvania recently won a $4 million jury verdict against the owner for failing to properly mark a step. Florida is known for its large elderly population, so understanding when a property owner may be potentially liable for a fall-related injury, as well as the types of injuries often suffered by the elderly, is relevant to millions of residents. Premises liability law imposes a duty on all property owners to keep their property in a safe condition to prevent harm to others. The law also says that if a property owner breaches, or fails to fulfill, this duty, the owner will be held accountable for compensating individuals injured by the owner’s negligence. Thus, if an owner knew or should have known about a dangerous condition on the premises and failed to fix it or warn visitors, any resulting injuries are likely to be the owner’s responsibility. However, these dangers must be known or reasonably foreseeable before liability exists. For example, if a store left spilled liquid unattended for three hours on a floor used by customers, the owner is likely liable if someone falls. Businesses open to the public are expected to inspect the premises on a regular basis for potentially dangerous conditions, and three hours is more than adequate for employees to discover and address such a hazard. On the other hand, if a stair collapsed, and a person is injured, but no signs of problems with the structure or condition of the area were apparent, the owner may not be liable. Further examples of hazards that may expose a property owner to liability for injuries include cracked, broken, uneven or icy sidewalks and cluttered store aisles. Note that trespassers do not receive the same level of protection, and property owners are only obligated to refrain from intentionally setting traps. Further, even though some victims may not die immediately, many older Americans injured in a fall never leave the hospital after sustaining these kinds of injuries. If the elderly victim does die, the family may be able to sue to the property owner in place of the deceased in a wrongful death lawsuit. 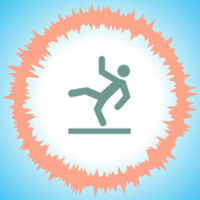 Falls are scary, and can be life-threatening. If you or a loved was injured in fall, consult a personal injury attorney to find out your right to sue for the harm you suffered. The Miami law firm of Pita Weber Del Prado understands how devastating these injuries can be, and will take quick action to preserve the accident scene so evidence can be collected to build a strong case. Contact us for a free consultation, and learn how we can help you.